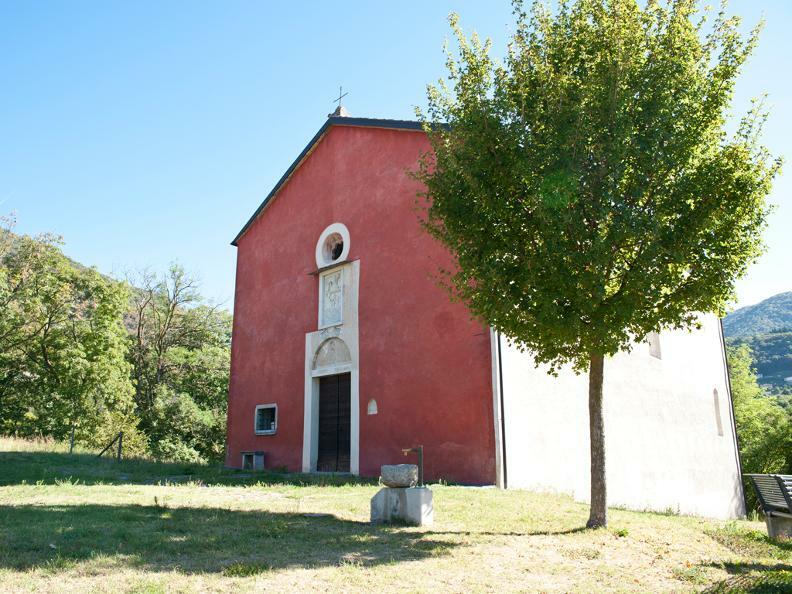 At the foot of the village of Castel San Pietro, stands the church of S. Pietro, built in 1343. The name Red Church comes from the colour of the façade which differs completely from the rest of the building. This particular colouring dates back to 1599 at the wish of the Bishop of Como, who extended this order to other churches in Ticino too. On Christmas Eve 1390 the church was the scene of a dispute between the Guelfs and the Ghibellines. The feud, which put the Rusca family against the Busioni family, caused the death of about one hundred people, among them the priest who was celebrating the mass. Numerous works of art of the period can be seen inside the temple, which is still open for worship. 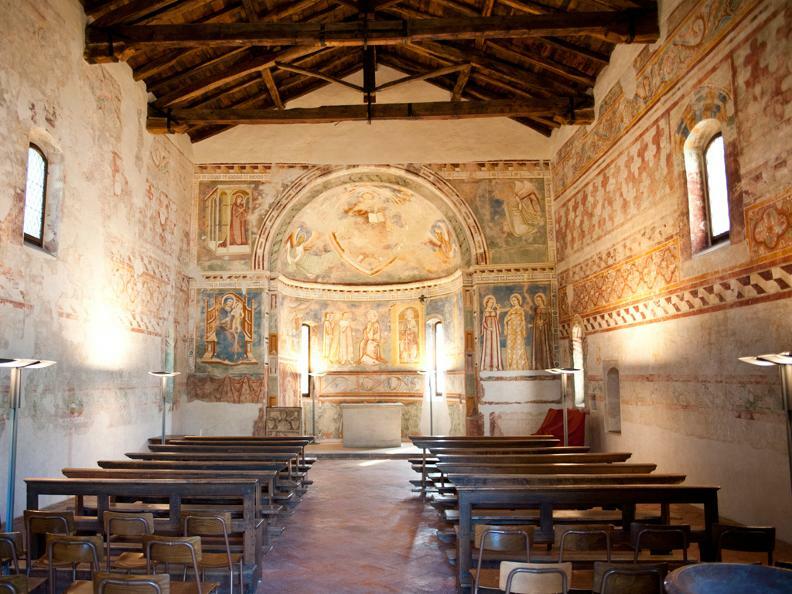 The frescoes on all the walls have come down to us almost complete, a fact which makes the cycle of 14th century frescoes precious and worth a visit. 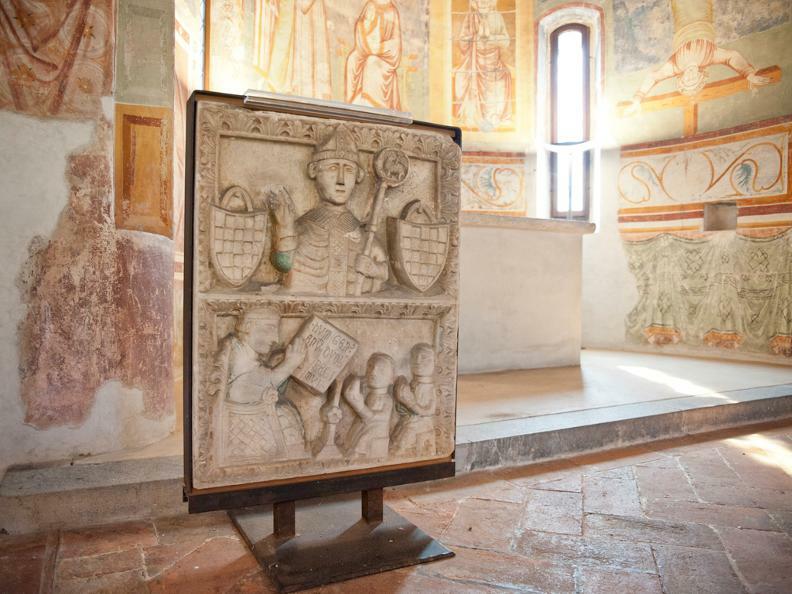 The bas-relief depicting Bishop Boniface of Como is also interesting. It is all the more precious in that a panel of the Carolingian period, 9th century, was found on the back. The church was restored in 1997-99.